Supporting entrepreneurs, small businesses and creatives is all part of Arlington’s Creative Economy initiative. With public/private partnerships, growth of these endeavors is an important part of business sector diversity and economic sustainability. 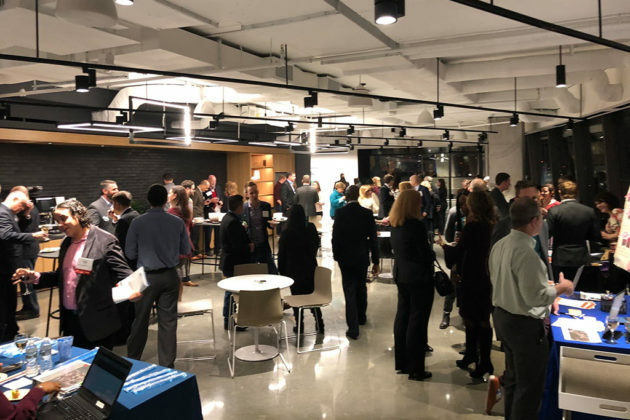 Kicking off the holiday season last week, Arlington celebrated business success at its Arlington Premier event on November 28 at the new Convene space in Rosslyn. 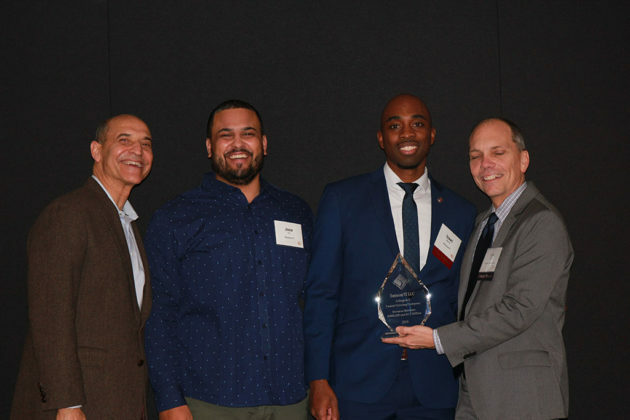 More than 300 business leaders attended the Arlington Premiere reception, which recognizes new businesses in the Arlington community. 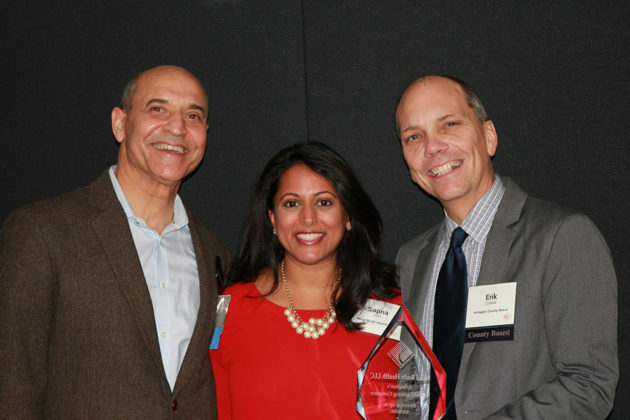 For the fourth year in a row, the event also honored some of Arlington’s fastest growing companies — known as the Arlington Fast Four. The winners were formally announced and recognized at the reception. 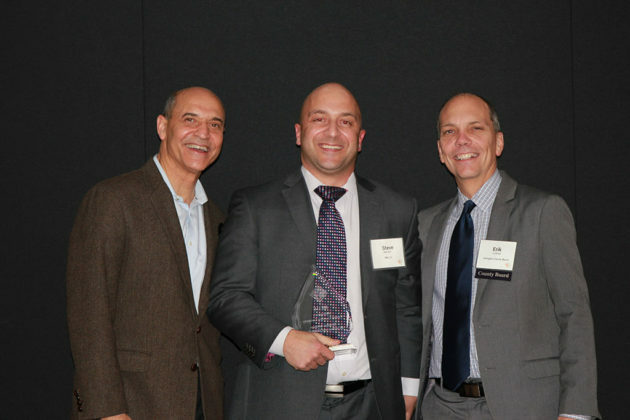 Entrants for the Arlington Fast Four were privately-held companies that needed to demonstrate year-over-year revenue growth from 2015, 2016 and 2017. Winners were required to provide income statements to show proof of growth and revenue. This year’s winners were chosen in each of four categories (to comprise the Arlington Fast Four). Mind Body Health is a private practice of psychologists and dietitians dedicated to providing compassionate, evidence-based care. The experts specialize in providing individual psychotherapy and nutrition counseling for the treatment of chronic medical conditions, depression and a variety of disorders. Mind Body Health is in the Courthouse neighborhood of Arlington and has been serving clients here since 2014. Eminent IT is a software development company established in 2009 focused on helping organizations and government agencies revamp their business processes and technology. Its clients include the U.S. Navy and the White House. 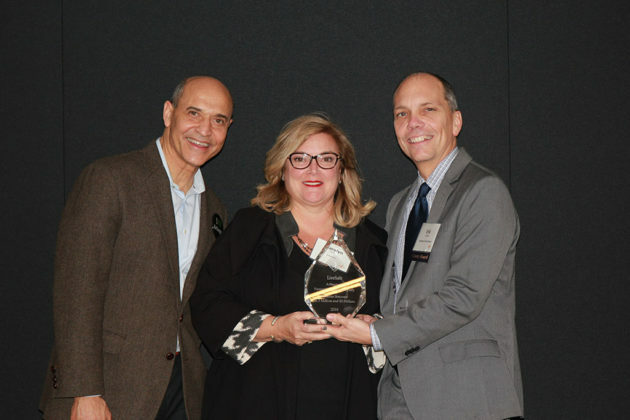 The company has also received the 2015 and 2018 Top Federal Innovators of the Year award. Livesafe offers a mobile two-way safety communications platform and risk mitigation tool used by businesses and universities. It was founded by a survivor of the 2007 Virginia Tech campus shooting tragedy. Livesafe’s mobile app allows users to report incidents, share their location and also find and call for emergency services. The company has deep roots in Arlington; some of its Board members live here and have founded several other Arlington-based companies such as Buysafe and Hungry. AM LLC’s full name is Applied Memetics. Since 2012, AM has supported contracts with the federal government across the Health, Defense and Intelligence markets. The company is growing quickly and hiring data scientists, engineers, and cyber security analysts to work in Arlington and throughout the region at client sites.